The high price of eyeglasses has Sen. Chuck Schumer seeing red. Do you know why we get ‘red eye’ in photographs? Or that carrots don’t improve vision? This article tells you some amazing facts about human eyes. Are My Eyes/Vision Changing Because I’m Just Getting Older? – Eye M.D. As eyes age some anomalies may appear..
As we all know, or might suspect there are many changes in the body that come with age, eyes changing are no different. In fact, I just came back from my trip to the optometrist’s office to get eye prescriptions I was informed (as I am about to turn 50) that after the age of 40 the eye and it’s ability to focus mainly on closer targets gets weaker and weaker. My vision is changing! I’ve also found out that my left eye vision strength has deteriorated, she had no idea why, as all my life wearing eyeglasses the correction was equal on both sides. Not now that I am old….older! So I’m reading this and I know you could use a little heads up to. 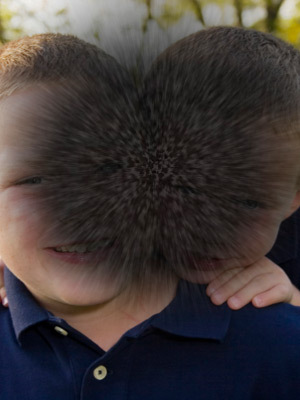 From random tiny clumps of cells floating around the eye and making you think you’ve seen a flash of light, to muted colors, to symptoms of macular degeneration or even signs of glaucoma like deteriorating peripheral vision. Keeping an eye out for various subtle changes in vision as well as getting regular eye exams will help the changes that might come with age. It will definitely give you a head start with great hints if there is any diabetes on the horizon. I for one was fine on all counts this time…I hope to see the same in the future. While changing eyes/vision can be scary be sure to take good care of your eyes. Better safe than sorry…sight is so precious! Keep an eye out for your nutritional needs as proper nutrition can also help keep you eye sight feeling younger! Adlens®, the global leader in adjustable focus eyewear, has launched its groundbreaking adjustable prescription eyewear ‘AdlensFocuss™’, the greatest advancement in optics in more than 50 years. This summer the coolest styles in sunglasses for men are the tortoise shell sunglasses. Whether hanging at the beach or pool or off to an event tortoise is the the way to go. Inspired by JFK seen below stylin’ retro tortoise shades..with plenty of celebrities following suit, Brad Pitt, Johnny Depp to name a few..
We also see that with the death of Robin Williams (RIP) all eyes have turned to the Deat Poet’s Society and tortoise shell sunnies are right in step with this renewing trend. But as tradition predicts, what’s the hippest fall wear for eyeglasses…tortoise shell! How to Wear Makeup with Glasses – Makeup to Match Glasses – Elle.